With these words, the priest completes the consecration of the Easter candle. Why, at this crucial point in our celebration of the Lord’s Resurrection, does this prayer seem to take us back to Good Friday instead of forward to the dawn of Easter day? The answer lies in that single adjective ‘glorious’. 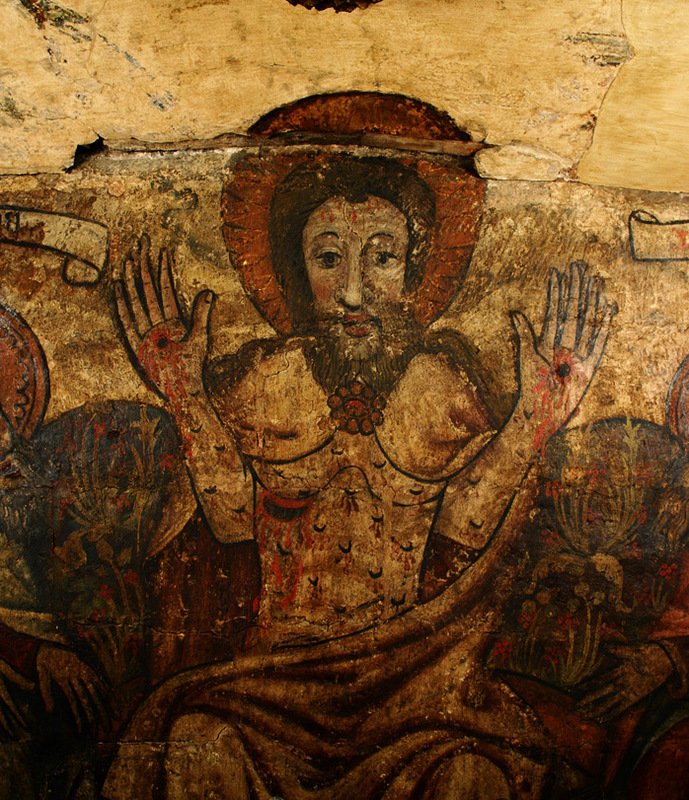 Although Jesus’ five wounds – His pierced hands, feet and side – were inflicted during His Passion, we call them ‘glorious’ because they now belong to His Resurrection. Both St John’s Gospel and the Gospel of St Luke verify that Jesus bore the marks of His crucifixion on His glorified body when He appeared to the Apostles on Easter day. And the Apocalypse suggests that these wounds will still be visible when Jesus returns at the Last Judgement (cf Rev 1:7). Yet still we may ask “Why?” If Jesus’ body at the Resurrection should have been so glorified that He was difficult to recognise at first, why would these marks of His suffering remain so clearly visible? Because they proclaim the glory and the victory of Christ. In order to confirm the disciples in their faith and hope of the Resurrection, and so give them courage to suffer for His name. So that He might constantly present them to the Father in heaven supplicating on our behalf. To impress upon those whom He has redeemed by His death, how mercifully He came to their aid by placing His wounds before their eyes. So that at the Last Judgement it might be apparent to all, even to the damned, how just their condemnation really is, in that they spurned so great a redemption. I wish to add another thought at this point – an expansion on St Thomas’ second reason: Jesus retained the wounds of Good Friday in His glorious Resurrection in order to show us that our future hope of glory is firmly attached to our present reality. We have all heard the expression ‘pie in the sky when you die by and by’. It is a parody of the Christian hope of resurrection, suggesting that our hope of heaven is unattached to reality. The glorious wounds of Jesus disprove that. On the contrary, “fixing the gaze of our spirit on the glorious wounds of His transfigured body, we can understand the meaning and value of suffering, (and) we can tend the many wounds that continue to disfigure humanity in our day” (Pope Benedict XVI, Urbi et Orbi address, Easter 2008). The wounds we receive in this life are real. Suffering and pain are not, as some spiritual traditions suggest, simply states of mind or figments of the imagination. The injustices that we receive – and the injustices that we inflict on others – have eternal consequences. And yet, in the hope of Jesus’ Resurrection, our wounds, our suffering, our pain and our injustice have a real and healing answer. Paradoxically, St Peter wrote that “by His wounds you have been healed” (1 Peter 2:24). In the wounds of Jesus, there is healing for even the most grievous of injustices, the deepest pain, the most serious of suffering that human sin can inflict upon another human being. In fact, whenever any of Jesus’ ‘little ones’ are wounded (cf Mark 9:42), the wound is inflicted upon Christ’s own body. The destructive power of these wounds, which would otherwise break us and drive us to despair, is deflected onto Christ and His body. He is infinitely able to absorb our pain and suffering in the wide expanse of His love. This is true redemption. As Pope Benedict XVI recently wrote: “Christ’s own wounds, transformed by His redemptive sufferings, are the very means by which the power of evil is broken and we are reborn to life and hope. I believe deeply in the healing power of His self-sacrificing love – even in the darkest and most hopeless situations – to bring liberation and the promise of a new beginning” (Letter to the Catholics of Ireland). We may think of the wounds of Christ in glory as a ‘lifeline’ connecting our life here to the future life of Resurrection, a lifeline which cannot be severed even by the darkest forces. St Paul draws the line directly in his Letter to the Philippians, when he writes that he desires that he “may know (Jesus) and the power of His Resurrection, and may share His sufferings, becoming like Him in His death, that if possible I may attain the resurrection from the dead” (Phil 3:10-11). “Within thy wounds hide me”. 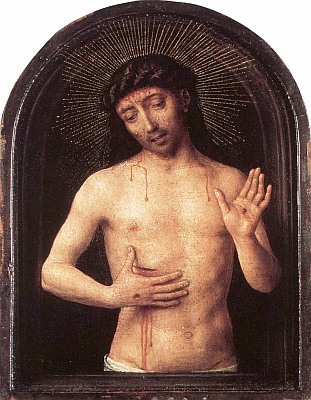 This is another common image for the glorious wounds of Christ. His wounds are a refuge, like the cleft in the rock in which God hid Moses (Exodus 33:20). St Bernard of Clairvaux wrote: “Where is a safe stronghold for the weak to find rest, if not in the wounds of the Saviour? There, safety is measured by His power to save. The world rages, the body weighs me down, the devil sets his snares, but I do not fall for I am founded on the solid rock. I have sinned grievously, my conscience will be troubled – but not in despair for I will recall the wounds of the Lord” (Office of Readings, Wednesday, Week 3). It is therefore to the wounds of the Risen Christ that we all flee for mercy and for healing. This is why the Easter candle is consecrated with a reminder of His wounds, for the wounds of His suffering are now made glorious by His Resurrection. I make the following prayer my own for you, as I wish each and every one of you a happy and blessed Easter! “Lord Jesus Christ, Your hands, feet and side were pierced and flowed with blood for the world’s salvation. The wounds in Your risen body strengthened the faith of the Apostles in Your glorious Resurrection. Deepen our devotion to these proofs of Your love and unite us more closely to Your passion, so that we may rise with You to newness of life, for You live and reign with the Father and the Holy Spirit, one God, for ever and ever. Amen” (Passionist Prayer for the Feast of the Glorious Wounds). 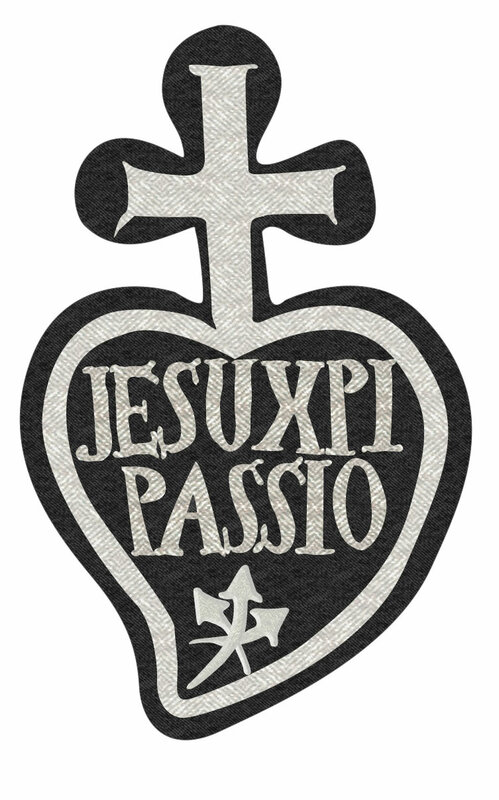 On 24th April Passionists celebrate the memorial of The Glorious Wounds of our Lord Jesus Christ. O Lance, what words can give you praise. For you opened the side of Christ, and the church was born. A new Eve came from his side while his body rested in sleep. A new Adam brought her forth, in blood and water from his heart. O Nails, what words can praise you, driven into Christ’s holy limbs. You are fastened to the cross, through his blood, the decree abolishing his death. O Jesus, saints and angels praise you, still marked in heaven with nails, still bearing the wounds of the lance, reigning with the Father and the Holy Spirit. Amen. Lord Jesus Christ your hands, feet and side were pierced and flowed with blood for the world’s salvation. The wounds in your risen body strengthened the faith of your apostles in your glorious resurrection. Deepen our devotion to these proofs of your love and unite us more closely to your passion, so that we may rise with you to newness of life, for you live and reign with the Father and the Holy Spirit one God, for ever and ever. Amen. The year was 1713 and Paul was just twenty years of age. He was struck by a sermon, “Go sell all you have and come to me.” Simple in itself and of no great importance to anyone else, this sermon, this experience, changed Paul’s life forever. Paul always referred to this experience as his “conversion to a life of penance”. After this, however, Paul was tormented by doubts about what had happened. Had God spoken to him and was he simply deceiving himself? Was God there at all or was it simply his imagination? When these temptations against faith would come over him, he would go to church and lay his head on the altar rail because he did not know what to do. Then in prayer, on Pentecost Sunday 1713, all doubts about the experience left him and never bothered him again. Paul would be faithful to his resolve to give himself completely to God, but the direction he was to take was as yet unclear. 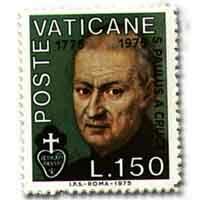 In December 1714, the year after Paul’s conversion, the Ottoman Empire declared war on Venice and the Christian West. Pope Clement XI tried to unite the European powers against the Ottoman forces and called people to fasting, almsgiving and prayer to turn away the ”anger of God” and encouraged those who could to enrol as crusading volunteers. Paul decided to join the crusade. After several months in preparation, Paul realised that army life was not for him. 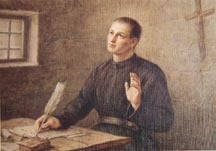 According to his sister Teresa, he was praying in a church in Crema near Venice during the Forty Hours Devotions when the inspiration came to him to leave the army. This was the Thursday before Lent, 20th February 1716. Paul had left the Army and was uncertain about his future. During this time he stayed with friends in Genoa. It was here that he had another experience that helped shape his life. In an account he wrote in 1720, he described what happened: “I was going westwards along the Riveria of Genoa when, on a hill above Sestri, I saw a small church dedicated to Our Lady of Gazzo. As soon as I saw it my heart longed for that place of solitude, but this longing could never be satisfied – though I carried it always with me – because I was occupied by the work I was doing as a matter of charity to help my relatives. After this ( I do not remember for certain either the day or the month ) I remained as I was for some time but with a growing inspiration to withdraw into solitude. This inspiration, accompanied by great tenderness of heart, was given me by the good God”. The fifth great formative experience in the life of St. Paul of the Cross began with his investiture in the black garment by Bishop Gattinara on 22nd November 1720 and continued through forty days and nights of retreat in the Church of St. Charles in Castellazzo. 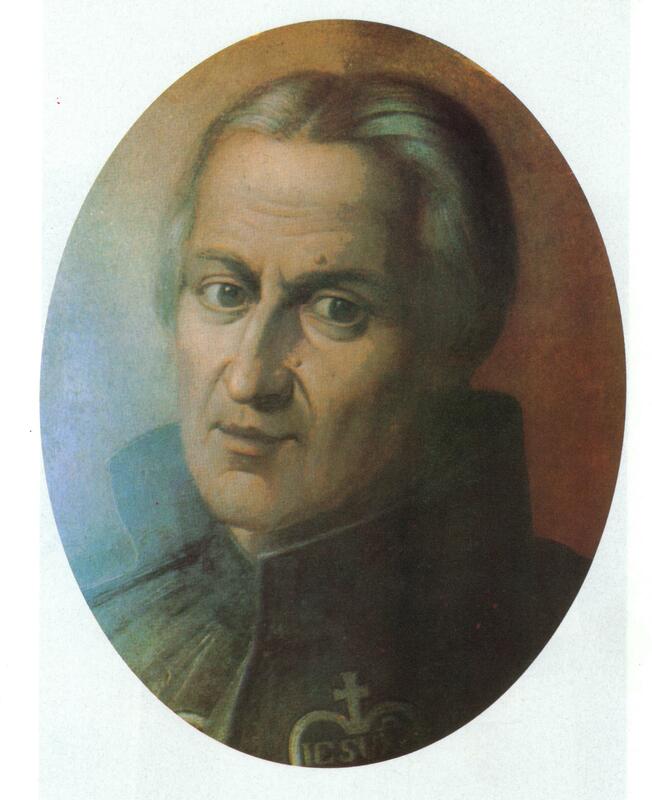 During this retreat he wrote the Rule for his companions: “I began to write this Rule in the year 1720 on 2nd December and finished on the 7th of the same month. Before writing I spent some time in prayer. Then I left prayer full of courage and began to write … Let it be known that when I was writing, I wrote as quickly as if someone were dictating to me; I felt the words coming from my heart. I have written this to make it known that this was a special inspiration from God because as for myself I am but wickedness and ignorance.” For Paul the retreat was a time of entering deeply into the sufferings of Jesus; it was also an experience of the meaning of the mystery of his own suffering, in which he learned how God could purify his heart through his own inner struggles. The Retreat concluded on Wednesday 1st January 1721. Paul travels to Rome to gain approval for the freshly written Rule of Life. Early on the morning of 25th or 26th September 1721, Paul walks across Rome to the Papal Palace at the Quirinale where he asked to speak with the Master of the Sacred Palace, we presume to present his Bishop’s letter of recommendation. He was sent away, “Don’t you know how many ruffians come here every day? Leave. Go!” He writes of the experience: – “I experienced no displeasure on this occasion, but went out quietly and with bowed head.” His mission seemed to be a complete failure: thrown out of the palace, without a chance to even explain his business, much less present the Rule to the Pope. Then wandering down the hill he sees the Basilica of St. Mary Major, only about ten minutes walk from the Quirinal, and decided to enter the Basilica to pray. Coming from the direction of the Papal Palace, Paul would have entered the Basilica from the door at the back of the building, between the main altar and the chapel of the Madonna, known as the Borghese Chapel. He entered the Madonna Chapel and knelt before the icon of Mary known as the Salus Populi Romani, said to have been painted by St. Luke. Kneeling there allowing the turmoil to leave his heart, he prayed for understanding. Slowly he realised that the time had not yet come for presenting the Rule to the Pope; that day would come. In the meantime, he must remain faithful to the inspiration God had given him. When all doors seemed closed, the only way forward was to commit himself more fully to the work he had been given to do. Before the Icon of Mary, he pronounced for the first time in history the distinctive Passionist vow to promote the memory of the Passion of Jesus and to work to gather companions to do likewise. Paul was twenty eight years of age. A faith conviction that St. Paul of the Cross presumes in all his direction was this: God is actively doing something in our hearts at every moment and is communicating with us at every moment. As the Scriptures put it: “He neither slumbers nor sleeps, the guardian of Israel” (Ps 121:4). As long as we are not positively resisting this activity or refusing to listen to God’s communication, we are picking it up in the centre of our being, even though not always on the conscious level. This too is a truth that Paul of the Cross never tries to prove but just presumes for those he directs. Paul of the Cross writes: “Remain in the divine presence in everything you do. If you are busy at work with your hands, let your mind and heart be inwardly on God” (I,75). And again, “Be at peace in your sufferings without trying too hard to understand them in your mind. A true servant of God is praying always. I don’t mean kneeling down, but with loving attentions to the divine presence.” (I, 547).